Note that I’m assuming you’re not hiring a professional exterminator – not because you shouldn’t – but rather because these tips are simply geared for people who want to treat the problem on their own and perhaps save a bit of money in the process. 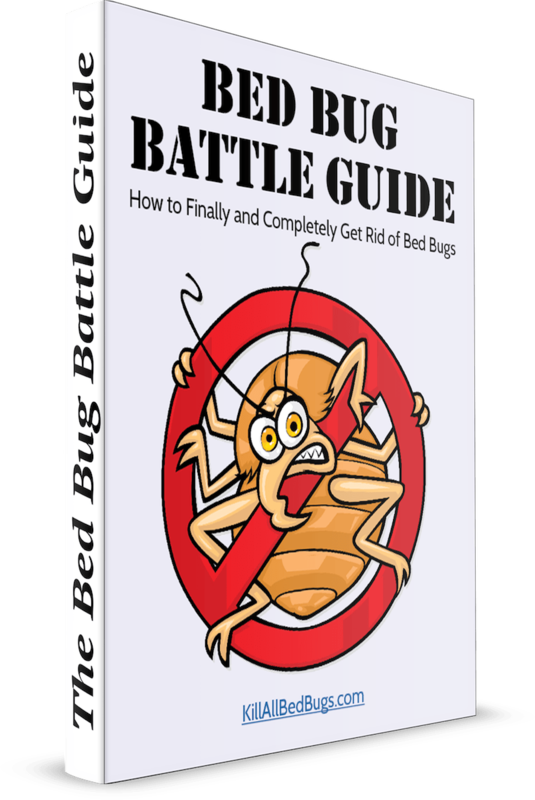 Of course, if you’re planning to give up on trying to kill your bed bug infestation by yourself and instead hire a professional, then please read our post on how to choose an effective bed bug exterminator first. But before you head over there, just be aware that even if you hire an exterminator, they may not be able to rid you of bed bugs completely (especially if they don’t kill all the bed bug eggs), and so you may have to return to this website and try some of the remedies I discuss below yourself. So What Kills Bed Bugs and Their Eggs? This is probably no surprise, but heat kills bed bugs and their eggs. But before you go and start turning on the heating in your home, let me make it clear that I’m talking about a lot of heat. Sure, a little bit of heat might kill bed bugs, but what it won’t kill is the bed bug eggs. And those are the pesky things you should really be worrying about. I know this seems counter-intuitive, since you are probably dying to kill the LIVE bed bugs that are biting you every night, but in terms of treatment, if you can’t destroy the eggs, then you’re never going to succeed in your extermination battle. With that in mind, many things do not kill bed bug eggs, like mild heat or cold or bed bug sprays. Even you find a spray strong enough that it will neutralize the eggs on contact, you will never be able to be thorough enough to actually spray it directly onto all of the eggs, since they’re often hidden behind wallpaper, under the carpet, in light fixtures, etc. In addition, sprays generally do nothing to eggs in any case. So, how do you apply huge amounts of heat to small crevices in your home without destroying everything you own? But don’t get just a crappy cheap one because they may not get up to high enough heat to kill bed bug eggs (yeah, those things are hard to destroy, hence why bed bugs are so hard to get rid of once you have an infestation). You’ll need to get a good dry steamer (like this Vapamore). I would get a dry steamer before I’d get anything else, and I’d use it extensively on my bed, furniture, floors, carpet, and even my walls (although be careful about getting wallpaper too damp, as it will loosen the adhesive). I don’t personally think that any one tool is enough to effectively eliminate bed bugs in every instance, but a dry steamer is one of the two tools that I wouldn’t do without. Yes, dry steamers are expensive (around $300 for a good one), but they will kill those bed bug eggs, and you’ll be able to use the dry steamer even after your bed bug infestation is over and done with just to clean your carpet or your upholstery (so not a total waste of money!). Another way to kill bed bugs and bed bug eggs with heat is to wash your clothes in hot water and use your clothes dryer function on high as well (watch out if certain clothes are delicate and can be destroyed by high heat). While your washing machine and dryer are unlikely to kill many of the bed bugs or bed bug eggs that’s plaguing your home, they might do some small damage, so it’s worth taking this small step. Ok, now we turn to the residual bed bugs in your home and deal with them using diatomaceous earth. Hopefully, with a dry steamer, you’ll have killed the majority of the bed bugs and their eggs. However, there is never any guarantee that your efforts will be 100% successful, so you’ll need something that will kill any bed bugs that emerge from hiding after you treat your home a few times. So, what is this magical diatomaceous earth that’s going to kill off all those residual bed bugs hanging around? Diatomaceous earth looks like a white powder (see photo above) that can be used in your home over the long term to kill any bed bugs that might reappear (e.g., new bed bugs that are hatched from a bed bug egg that wasn’t destroyed by the dry steamer treatment). Unlike most bed bug sprays, it lasts, which means you can put the diatomaceous earth down, and it will still kill bed bugs that walk across it 2 weeks later. This weird powder works to kill bed bugs by drying them out as they walk across the powder. So sprinkle it places you think bed bugs are likely to wander (corner of floors, under your bed). As an added benefit, diatomaceous earth is pretty cheap (this 10 lb bag is under $25! ), which is really good news, because you’ve probably already spent a fair amount on a good dry steamer (although not near as much as you’d spend on a good exterminator). In the past, DDT was the go-to chemical for killing bed bugs, and it’s still used in many countries today. However, since DDT was outlawed in the US, we’ve had to turn our attention to other less environmentally hazardous chemicals. For example, the Eco Defense Bed Bug Killer spray contains what they describe as “completely natural, organic and non-toxic ingredients” that kill bed bugs on contact. However, we can’t determine the exact ingredients used in the spray. Another chemical that can kill bed bugs is simple rubbing alcohol. 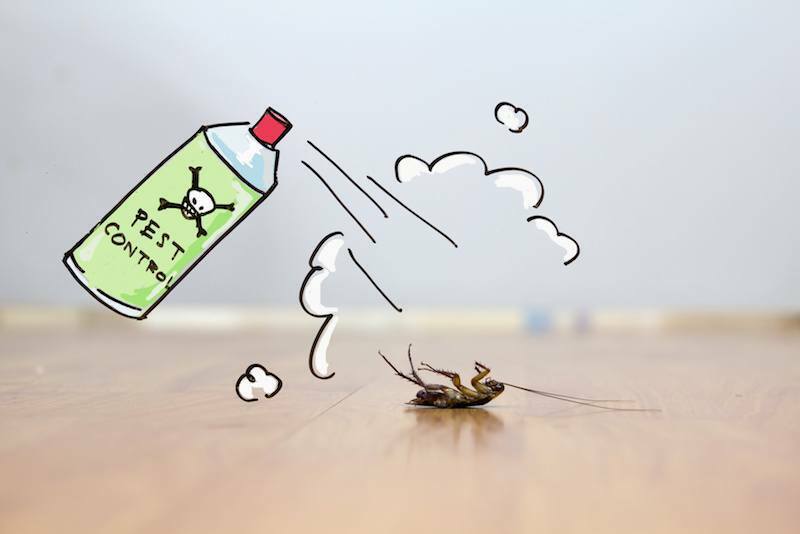 You can put rubbing alcohol into a spray bottle and it can be a simple and pretty effective (and pretty safe) method of killing bed bugs. Hopefully this article answered your question, what kills bed bugs and their eggs. Heat, diatomaceous earth, and various chemicals can all kill bed bugs and bed bug eggs. So, if you have a bed bug infestation right now, then you should go out and buy yourself a good dry steamer, a pack of diatomaceous earth, and some bed bug sprays. Just using one of these isn’t going to be enough for most purposes, so don’t rely on just one of them. The dry steamer is definitely a first must, but remember that it might not get everything. If you have urgent bed bug problems on your bed or places where the dry steamer might not reach, then try using the sprays too. Then sprinkle diatomaceous earth everywhere to kill additional bed bugs that might appear. The point I want to make here is that whatever treatment method you choose (even if you don’t go with a dry steamer and diatomaceous earth as I’ve suggested), you need to treat multiple times, even after you think that you’ve killed all the bed bugs. Bed bugs live for quite a while without feeding, so they could easily be hiding in places that you didn’t treat (even if you aren’t getting bitten). Unless you keep treating and re-treating, you’ll just keep getting recurring infestations. Being thorough the first time makes sure that you don’t allow the stragglers to repopulate in your home. These are just the basics, and we really recommend that you put together a much more comprehensive step-by-step attack plan. 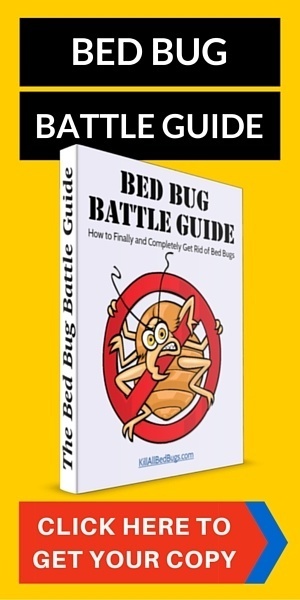 I find that most people who have a strategy for how to deal with bed bugs and how to keep them from coming back are by far the most successful. People who act haphazardly and just buy every new product that they come across tend to kill some of the bed bugs and their eggs, but they miss some and generally experience many recurrences. Please don’t let that be you! As mentioned several other places on the site, we recommend the Vapamore Dry Steamer, but it is by no means the “best”, as the best dry steamers are a LOT more money. That said, it will do the job. 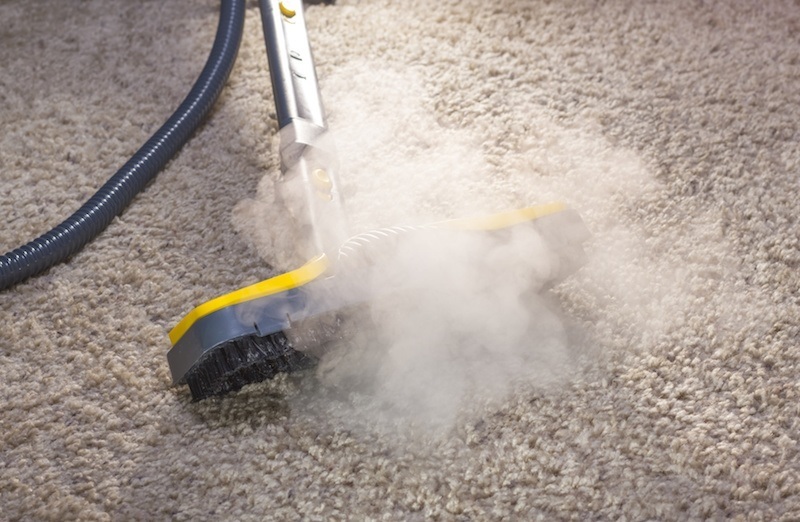 Depending on where you live, you can also rent dry steamers for a bit less money. Ideally, though, you want to use the dry steamer at least a few times over a 6-8 week period. One treatment often won’t solve the problem. Thx for the info. I am dealing with bed bugs right now. I had exterminator come in for one treatment he’s coming back in two weeks. I have still seen live bedbugs since the first treatment and dead ones. We’ve had a long battle of 8 months moving in on top of sonebody else’s BEDBUGS. Not aware at first, we were getting very sick from the bites. Some bites became very infected, and had to get MEDICAL treatments. I made the Landlord do EXTERMINATING to get these beasts gone. He missed many appointnents and caused us to do the process ourselves. First we did defogger 3 times in the first day. Vacummed completely after the third defog of the first day. Defog two days later, vacuumed again. For a whole month we defogged, vacuumed and then followed with using a steam iron on bed, and any material items. After each steaming bag and shut tight and discard in a outside trash facility. Clean your vacuum very thouroughly. Then company came and brought back what we took 3 months on our own to get rid of. Our Recommendation in the article How to Get Rid of Bed Bugs are our best suggestions. The dry steamer can be a bit expensive (although not as much as most exterminators), but if you’re thorough with it (and with the Diatomaceous Earth), it works well. So what if you used the powders vacuuming and the washer dryer. Wouldn’t the powder dry them out?